No matter how careful tenants are in your rental unit, appliances will eventually break down and systems wear out. Living spaces become worn from use and time and require continual upkeep. There are important steps to take in order to keep your maintenance costs down. Real Property SAC-METRO can help you plan ahead, take regular preventative measures, respond quickly to problems and keep up you up-to-date on health and safety codes. These steps will help your tenants feel valued and cared for. As you care for them, they will better care for your property. If you are investing in rental property management, Sacramento landlords trust Real Property Management SAC-METRO. Planning for maintenance costs is part of owning a rental property. To help landlords afford these maintenance expenses, our professionals recommend is setting aside ten percent of the rent each month. This allowance can cover routine checks and costs when tenants move out and in the case of emergencies. Some properties may go several years without any major expenses. But when they occur, a prepared fund is helpful in avoiding delayed repairs. Landlords should also remember an older home may need a greater percentage set aside. Developing a maintenance plan is important to property management companies. Sacramento owners what to avoid the costs of major repairs. At Real Property Management SAC-METRO, we conduct thorough inspections and cleanings twice a year. Once in the spring to prepare lawns and air conditioning units for warmer weather, and again in the fall to change furnace filters, clean gutters and prepare landscapes and homes for cooler weather. By taking preventative measures, you will limit surprises and decrease risks, saving you money in the long run. A key reason for high renter turnover is when tenants have trouble contacting a landlord. When a tenant reports a problem, trustworthy landlords should address the problem quickly. This timely response time will help your tenants to feel valued. A valued tenant takes better care of your property and will potentially stay longer meaning less turnover and fewer vacancy days. 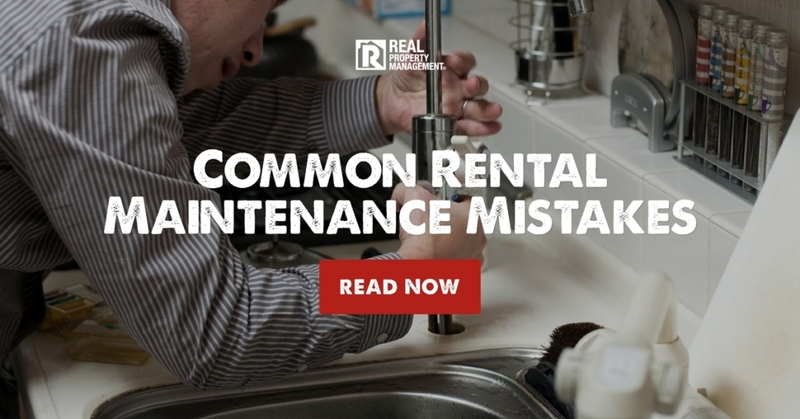 Having an efficient maintenance plan is a crucial part of owning a rental property. Let Real Property Management SAC-METRO help with all your property management needs. As the number one company in rental property management, Sacramento landlords rely on our experts for quality and affordable service. Call now to learn more about our unbeatable prices and reliable service.